Sharon – You’re Simply the Best! So one morning I took one of the biggest steps I have done in my life and said ‘ it’s only ME who can change my lifestyle and the way I look ‘ After suffering for many years of depression , low self esteem , lack of confidence , weight gain , and battling with Crohn’s disease. I thought enough is enough – stop making excuses for yourself about how I felt and looked and do something about it . So I decided to try my first Zumba class with Gail on a Thursday morning. I’m not going to lie to you , but stepping into the village hall on my own was REALLY daunting and hard , and I was actually sick before hand due to nerves . But everyone was so welcoming and I soon felt at ease. I’ve been there ever since! Since that first class I have been hooked , I absolutely love it . 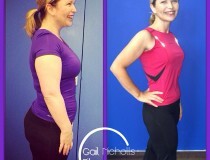 To the point that the next month I joined Gail’s Bootcamps and am now on my 7th one !! I also do the ‘Boxerbeat , X – COR classes aswell as Zumba . It is one of the most rewarding , life changing things I have ever done . I have tried the usual gyms before but absolutely hated it . Gail’s Bootcamp was just so different. There were people of different ages , shapes , sizes , and abilities . None of the usual intimidation I had felt at the gym . People were so welcoming , inspirational , and I feel privileged to share their amazing fitness journey With them, and every single one of them have become very dear friends . This reflects on how fantastic Gail is because this is HER group and it’s what she has made it. 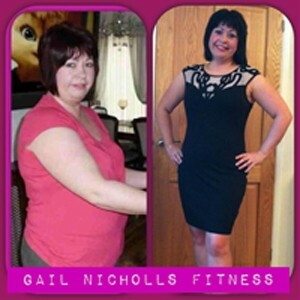 Gail , thankyou so much for helping to turn my life around. Your encouragement , belief , motivation , and fun factor with amazing people are what have kept me going and keep me coming back for more and more . You truly are my ‘guardian angel ‘ . People who have known me for a long time , know what I have been through in the past , and how I WAS as a person . 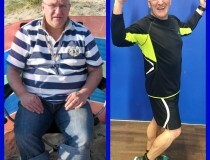 But since joining your fitness classes are amazed at not only my 2 stone weight loss but how I have changed as a person . I now try and hold my head high with my achievements and have become a lot more positive and happy with life and looking forward to the future and reaching my goal ! So anyone thinking of giving Gail’s classes ago – please , please give it a try .. It’s not just about feeling better physically which obviously is great but mentally too – and meeting great people along the way . If I can do it anyone can , what have you got to lose ? Apart from weight loss , inches and all that negativity we sometimes burden our bodies with ! Gail , I wish you all the success in the world and may you continue to thrive in every venture you do now in the present and in the future .